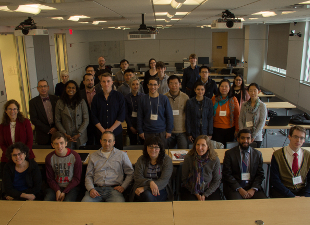 The Institute for Quantitative Biomedicine and the Graduate Program in Quantitative Biomedicine hosts an annual boot camp to augment interdisciplinary undergraduate and graduate education for students and scientists of all levels interested in bringing quantitative approaches to challenges in biological research. The goal is to introduce participants to the value of integrating the STEM sciences, mathematics, physics, computer science, statistics, chemistry, engineering, medicine, and the life sciences. 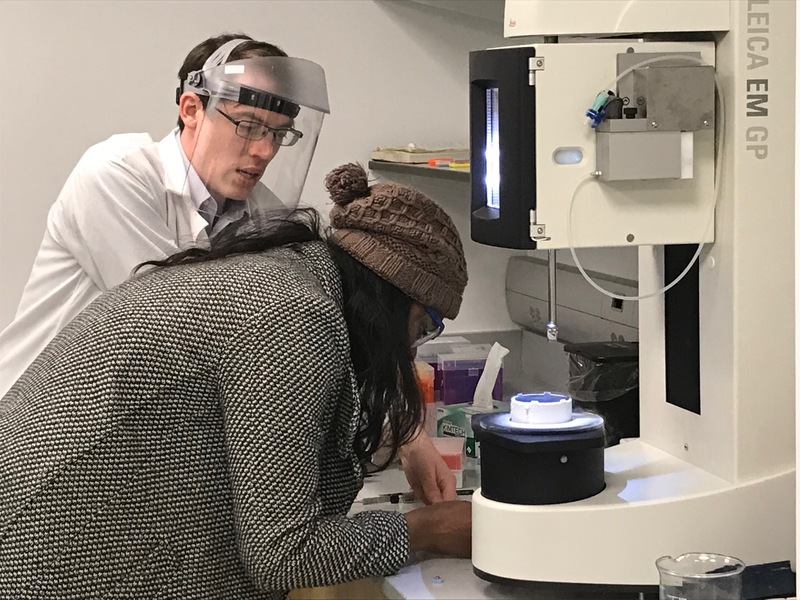 The immersive one-week Boot Camp of 2019 will focus on single particle cryo-electron microscopy (CryoEM). 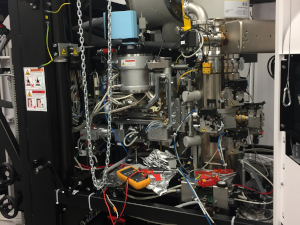 CryoEM enables determination of three-dimensional structures of large biological macromolecules, macromolecular complexes, and cell components of biological interest at nearly atomic resolution. 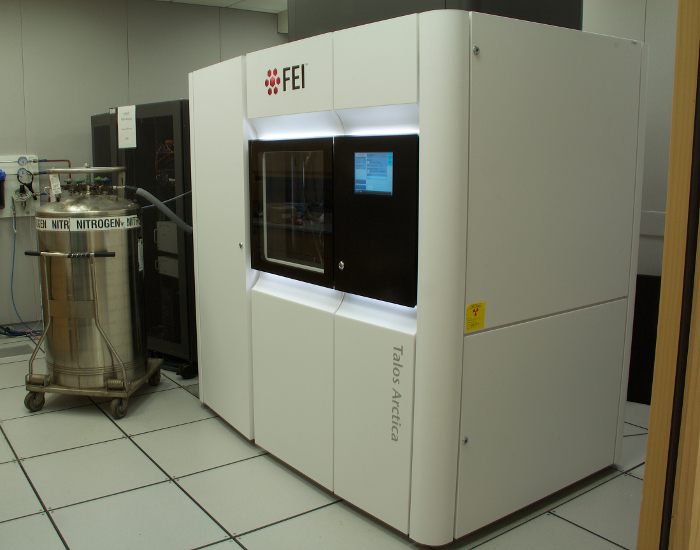 Recent advances in CryoEM have made it possible to visualize extremely complex systems, thereby enhancing our understanding of biology at the molecular level. Material covered will include: microscope alignments (200kV Talos Arctica equipped with a Summit K2 direct electron detector), automated data acquisition with EPU, image processing & high-resolution structure determination using various software packages including Scipion, Relion, XMIPP, EMAN and others, validation & deposition in databases. All are welcome to drop in to any lectures at no cost on a space-available basis. Due to the significant amount of mentoring required, hands-on exercises will be limited to fully registered participants only. By Nov. 16th at 5 PM: People interested in attending the entire immersive 1-week program (for all categories) must REGISTER FIRST on the Boot Camp Registration Page. Drop-in attendees are encouraged to register as well (to enable us to anticipate needs for coffee and seats). By Nov. 20th at 5 PM: Up to 50 full-time participants will be informed that they have been selected. You will then need to FULLY ESTABLISH YOUR PARTICIPATION according to the directions below. All others will be placed on a Waiting List. If you do not complete your registration in time, your position will be offered to the next person on the waiting list. All participants are expected to bring their own laptops. Do I need to take any prerequisites? 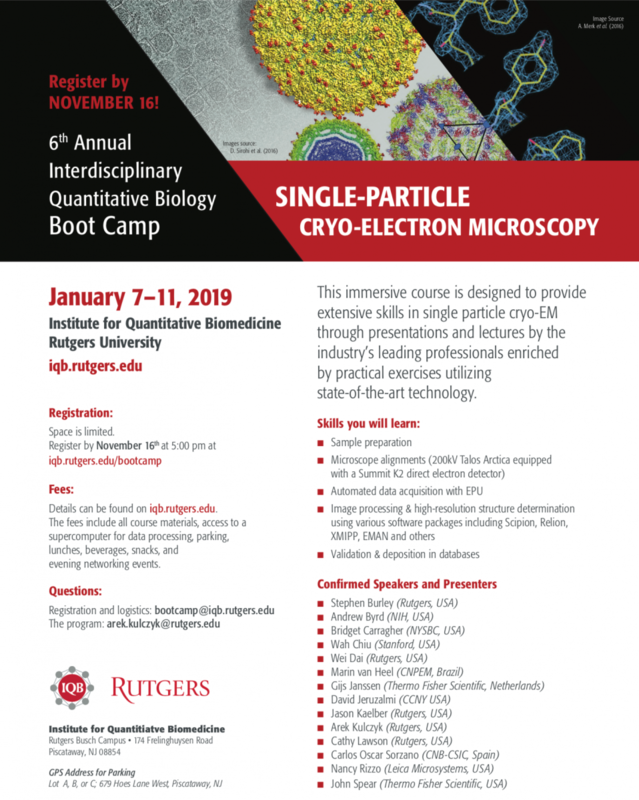 It is recommended that participants be familiar with structural biology, cryoEM software packages and the linux operating system. Ubuntu linux is a good linux distribution for beginners to get familar with linux. How many hours a day will Boot Camp be? Boot Camp will go from roughly 9 AM-6 PM, including daily poster sessions from 5-6 PM. A few evening social events will be planned. What will I need to do to earn the 1 credit and pass the course? To earn 1 credit, you will be expected to participate in the full spectrum of activities from 9 AM-6 PM all week. What can I attend without being registered? As a non-registered individual, you are free to attend any of the morning lectures. All full-time participants should have received an email to join the 2019 Boot Camp Sakai site by January 4th. Rutgers students, staff, and faculty must park according to their permits. Visitors must register their vehicles to park on campus. Parking will be available in Busch Lots A & B on Hoes Lane West, Piscataway, NJ 08854.